Despite Carter’s shocking and tragic death on Person of Interest Season 3 Episode 9, the New York detective had grown as a character, found a bond with Reese (someone she originally set out to capture), stuck true to her code and completed her ultimate task of bringing down HR. Will she be missed? Of course, but that serves as a testament to both the writing, acting and arc of her character. Carter was someone worth caring about. So the follow-up episode had the major task of not falling flat and squandering all the emotion and tension that had been built up. 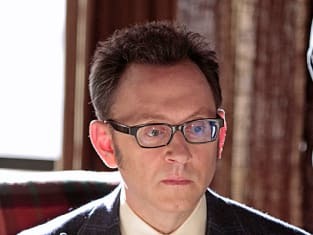 Thankfully, Person of Interest Season 3 Episode 10 delivered a worthy aftermath that explored the death, grief and loss from all the characters and provided that final final chapter in eliminating HR, aka Simmons. Using Johnny Cash’s song “Hurt” over scenes of Carter’s funeral, Reese and Shaw getting highly aggressive in their search for Simmons and a heartbroken Finch trying to figure out what to do when it all seemed to be falling apart was a brilliant way to get things started. It all captured the emotion of what everyone was feeling and starting up the fallout from such a tragedy. I’m glad we got to see Reese off the rails and raw. He’s always so cool, calm and collected that it opened up a side we rarely get to witness. He was taking out anyone in his way left and right, ignoring the consequences, hell bent on finding Carter’s killer. He was willing to die to get it done. Which was such a drastic difference in his flashback. He was in control, cold, ruthless and killing because it was just part of the job. It didn’t mean something to him and he was able to brush it off. Definitely, not the case with Carter, and kudos to Jim Caviezel for illustrating how much her death meant. Plus having Finch tell Reese that killing Alonzo Quinn wouldn’t be for Carter was good to hear. Perhaps we wanted Reese to do what he does best and get some revenge, but it would have broken what Carter set out to do. Good thing that gun didn’t go off when Reese pulled the trigger. As for Shaw, she’s been someone we’ve seen have trouble showing emotions. Even her flashback, which illustrated her resilience to be the heroic doctor, had her as more of a robot in telling the family of their loss. She has come a long way since then, especially much later in the game for the team, but even she wanted to find Simmons. But it was a nice twist of fate that it was Fusco who ended up finding Simmons. From dirty cop turned loyal partner and friend, he got a chance to be the good guy because of Carter and Reese. And I’m glad that when he caught up to Simmons, rather than simply kill him, he wanted to fight with his bare hands. Risky? Sure. But man, he beat the crap out of Simmons, while effectively taking out his anger and frustration for the death of his friend and the hold that Simmons used to have over him. It was his chance to take some control. Another great scene for Kevin Chapman in his emotional explosion about Fusco’s transformation, about Carter and taking Simmons in. He may have felt absent in the early episodes of this season, but both his torture scene in Person of Interest Season 3 Episode 9 and this personal monologue made up for it. It definitely felt fitting that Fusco got to turn in the final piece of the HR puzzle. Certainly, Finch was in an interesting predicament on how to handle the situation of Carter’s death. His flashback showed his survivor’s guilt after the death of Nathan Ingram, his friend, as well as his decision to do something “radical.” We all know where that went with his turn to the Machine. And yet in the present, he initially didn’t want to use the Machine and essentially Root. He worried that the consequences could be catastrophic. 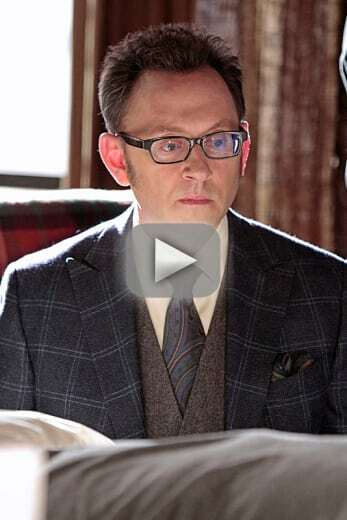 He obviously was distraught over the whole ordeal, but reluctantly agreed to set Root free to help them save Reese. He didn’t want to lose another friend and ally. Root did aid in the endeavor, firing two guns like a badass, and leading them to Reese. But after all was said and done, she put herself back in her cage willingly. Why? Is this big unknown threat in the future going to be that much of a problem? Is she not the enemy anymore and something much less black and white? Or will she get Finch and company’s guard down and strike when they least expect it? At least Finch was able to get to Reese in time. 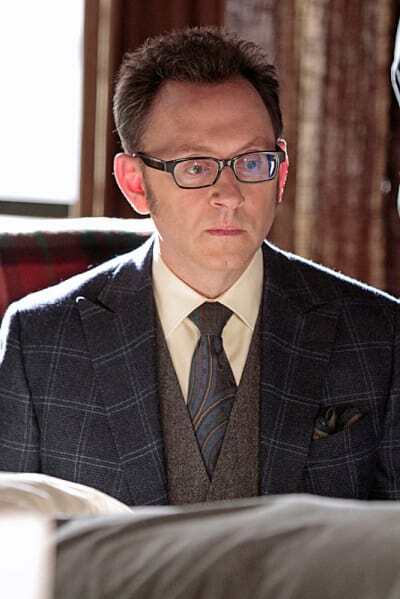 But it wouldn’t be Person of Interest without a last minute twist. The brilliant reveal from the shadows of Elias was chilling, especially because that’s kind of where he has been all season. He, too, cared for Carter and was perfectly content in killing, as he and Simmons were “uncivilized.” It was a dark ending and another one I didn’t quite see coming until right before it happened. I just wonder what Elias’ next move will be. The hour was full of action, emotional moments and great pacing in showing a necessary fallout after Carter’s death. Witnessing the various character decisions and handling of the death, grief and loss both in flashback and present time really helped build upon the story and how far the show and characters have come. Definitely a satisfying follow-up for a show that continues to prove just how good it can be. We're out of options. We need Root. Permalink: We're out of options. We need Root. Does survivor's guilt pass when everything that has happened actually is, in fact, your fault? Permalink: Does survivor's guilt pass when everything that has happened actually is, in fact, your fault?